Scott "Scooter" Yoak is a professional airshow pilot who flies a vintage, P-51D Mustang. The plane, called the Quick Silver, was built from over 200 different Mustang parts and now stands a tribute to Veterans. 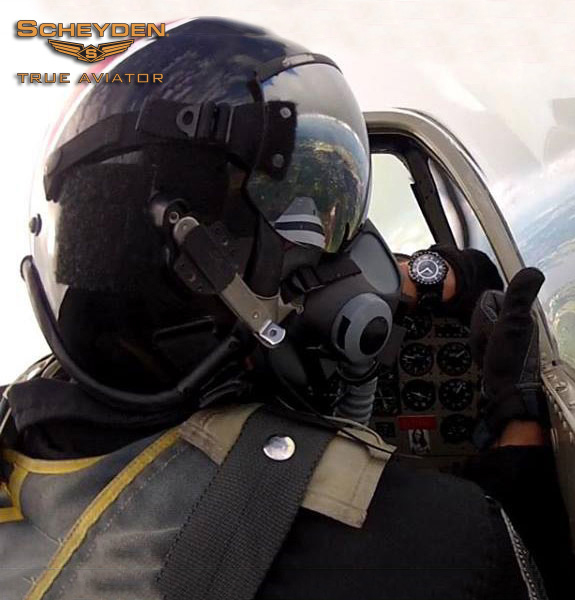 Here he is wearing our True Aviator Steam Gauge.